Then under Category, go to Log – Syslog – Syslog Website Accessed. 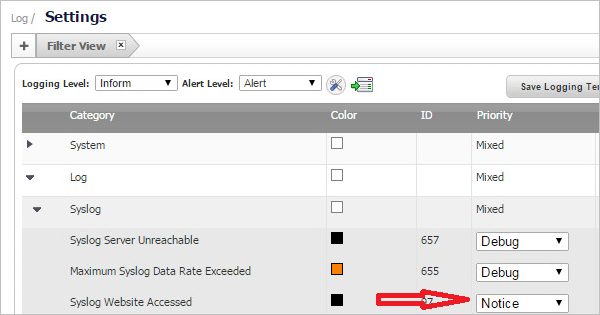 Adjust the priority to match the selected logging level. 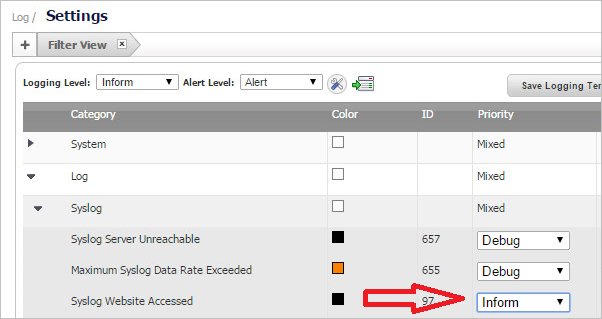 The log file should now receive Web traffic data and show as valid in Cyfin.